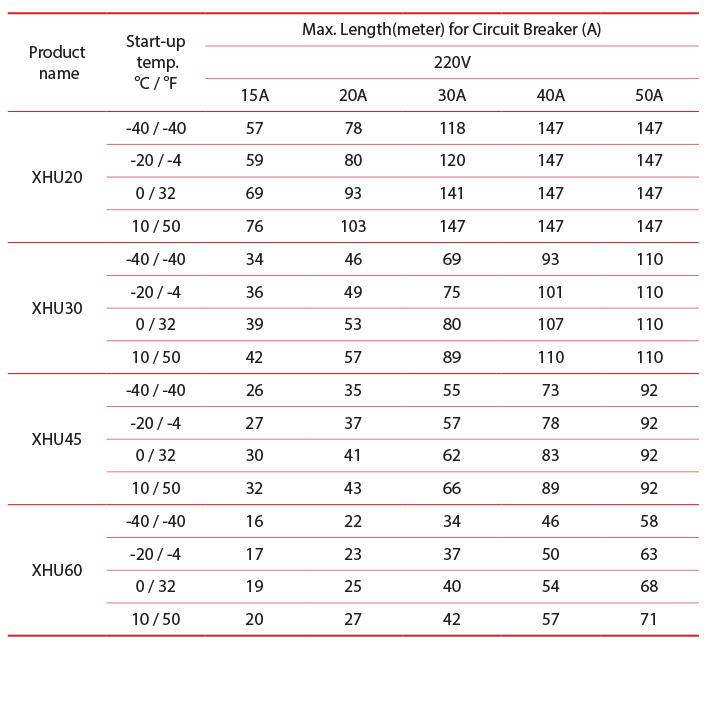 XHU self-regulating heating cable can be used for freeze protection and temperature maintenance up to 210°C. It is suitable for use in the high temperature range of industrial applications such as pipe freeze protection, vessel heating and process temperature maintenance for pipe or tank up to 210°C. 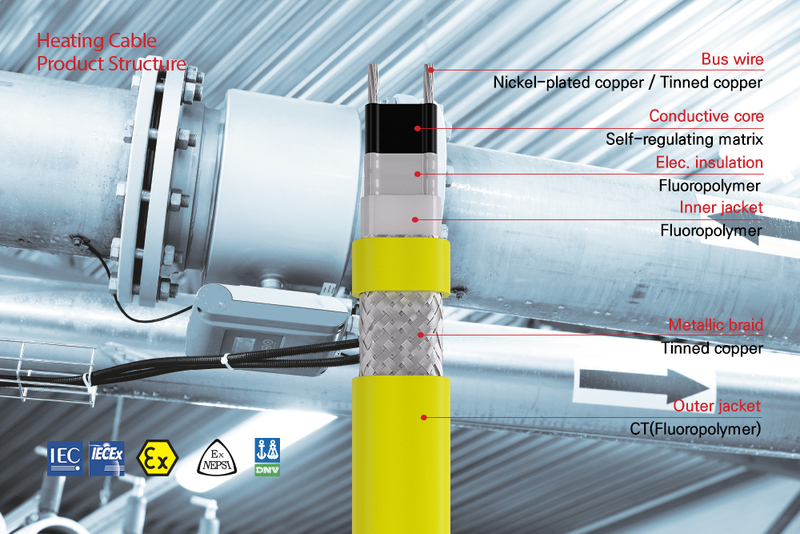 The XHU cable is approved for use in nonhazardous and hazardous (classified) areas. The CT type outer jacket of this heating cable has high chemical resistance and therefore can be used in the area where organic chemicals or corrosives may be present.